Save $10 on a two or four wheel alignment. 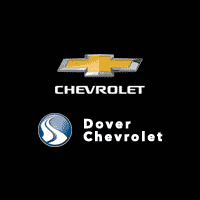 Offer valid through 4/30/19 at Dover Chevrolet. Must present coupon at time of write-up. No cash value. Cannot be combined with any other offer or discount. Not valid on previous services. Maximum savings of $100. Other restrictions may apply. See service advisor for details. Save 10% on your next service if your vehicle has 100,000 miles or more! Must present coupon at write-up for offer to apply. Valid at Dover Chevrolet. Maximum discount is $100. Excludes tires, battery, oil changes and over-the-counter purchases. Cannot be combined with any other offer or applied to past services. Taxes and hazardous waste fee not included. Other restrictions may apply. No cash value. See Service Advisor for details. Expires 4/30/19. Must present coupon at write-up for offer to apply. Valid at Dover Chevrolet. Maximum discount is $50. Excludes tires, battery, oil changes and over-the-counter purchases. Cannot be combined with any other offer or applied to past services. Taxes and hazardous waste fee not included. Other restrictions may apply. No cash value. See Service Advisor for details. Expires 4/30/19.